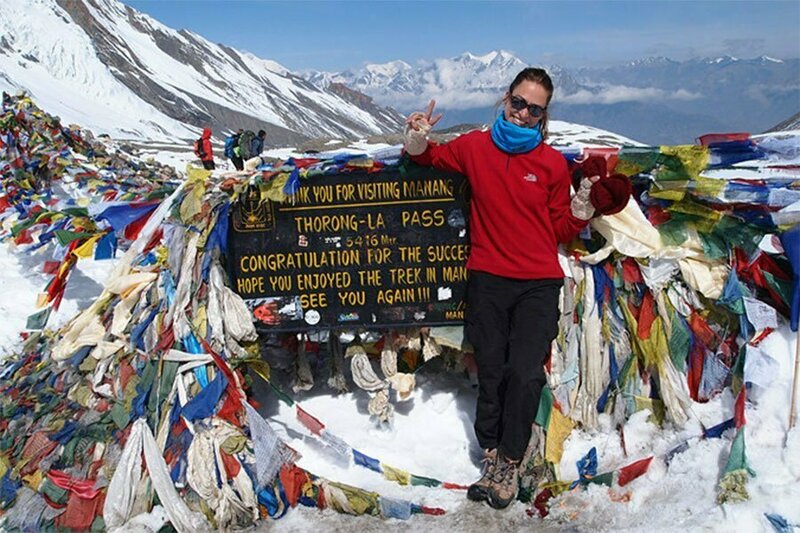 Annapurna Circuit Trek also known as Round Annapurna Trek is most popular trek in the world. The trek passes through the trans-Himalayan region of Manang, which is full of ancient caves, lakes and incredible landscape, to Lower Mustang. The major highlights of this trek includes visit to Muktinath Temple after crossing 5,416m high Thorang La pass and trek along Kali Gandaki Valley which offers superb views of the Annapurna ranges including Annapurna I-IV, Dhaulagiri, Macchapuchre, and the world’s deepest Kali Gandaki gorge. It offers a variety of cultures including unique Thakali culture, rich flora and fauna, waterfall, hotspring in Tatopani among others. Note: After Check in , you will meet your guide. We will have trek talk. We will check your things for the trekking. If anythings is not enough, we suggest you to buy. Eyes on Nepal will provide some trekking gears too. Highlights: First Bus ride experience on Nepalese Highway. 06.15am: Pick up from your hotel in Kathmandu and drive to Dumre with your trekking guide. 11.00am: Arrive in Tanahu and you will have your lunch break here. 11.30am: Continue the journey to Bhulbule. 05.00pm: Arrive in Bhulbule. Check in hotel. Free and easy after check in. You can explore the local area. NOTE: Dinner in the hotel. 08.00am: Check out and start the trek to Syange(Uphill). Note: You need to register your name in the check post. You will continue your trek to Syange. 09.30am: Arrive in Nandi Bazar and you will continue the trek to Bahundanda(1310m). 11.30pm: Arrive in Bahundana and you will have your lunch here. 12.30pm: Continue your trek to Syange. 01.30pm: Arrive in Ghermu and continue the trek to Syange. 03.00pm: Arrive in Syange. Check in hotel. Free and easy after check in. You can explore the local area. NOTE: Dinner in the hotel. 08.00am: Check out and start trek to Dharapani(1860m). 09.00am: Arrive in Jagat(1300m) and continue the trek to Dharapani. 10.00am: Arrive in Chyamche(1430m) and continue the trek to Dharapani. 11.30am: Arrive in Sattale(1680m) and continue the trek to Dharapnai. 12.30am: Arrive in Chyamche(1430m) and continue the trek to Dharapani. 01.30pm: Arrive in Tal(1700m) and have your lunch break here. 02.30pm: Continue the trek after lunch break. 04.30pm: Arrive in Karte(1850m) and continue the trek to Dharapani. 05.00pm: Arrive in Dharapani(1860m). Check in Hotel. Rest and Relax. 07.00pm: Dinner in the hotel. Highlights: Magnificent views of Annapurna II (7937m) and district headquarter of Manang District. 07.00am Breakfast at the hotel. 08.00am Start the uphill trek to Chame(2670m). 09.00am Arrive in BargaChhap(2160m) and continue the trek to Chame(2670m). 11.00am Arrive in Timang(2270m) and have your lunch here. 12.00pm Continue the trek after the lunch break to Chame(2670m). 03.30am Arrive in Chame(2670m). You will have overnight in Chame. Check in hotel. Rest and Relax. Free & easy. 06.30pm Dinner in the hotel. 07.00am Breakfast at the hotel. Check out hotel. 08.00am Start the trek to Upper Pisang(3300m). 08.30am Arrive in Talekhu(2720m) and continue the trek to Upper Pisang(3300m). 11.30am Arrive in Dhikur Pokhari(3060m) You will have your lunch break. Note: Very limited option for the lunch. 12.15pm Continue the trek after the lunch break to Pisang(3300m). 02.10pm Arrive in Pisang. You will have overnight in Pisang(3300m). Check in hotel. Rest and Relax. Free & easy. 07.00am: Check out and start the trek to Manang(3540m). 10.00am: Arrive in Ghyaru(3670m) and continue the trek to Manang(3540m). 11.30am: Arrive in Nawal(3660m) and you will have your lunch here. 12.30pm: Start the trek after lunch break to Manang(3540m). 02.15pm: Arrive in Bhraka(3360m) and continue the trek to Manang(3540m). 04.15pm: Arrive in Manang(3540m). You will have overnight in Manang(3540m). Check in hotel. Rest and relax. 06.30pm: Dinner in the hotel. 09.00am “We suggest you to take this day as free and easy day because upcoming 3 days will be very challenging and tiring. Bhojo Gompa or Gangapurna Lake are worth visiting sites from acclimatisation point of view. If you have time and an interest, you can pay an easy excursion to village nearby Manang. Highlights: Uphill to Thoranla. Feeling the altitude. 10.00am: Arrive in Chusang(3900m) and continue the trek to Ledar(4200m). 12.00am: Arrive in Yak Kharka(4018m).Lunch break in Lauribinayak. 01.00pm: Start the trek after lunch. 03.00pm: Arrive in Ledar(4200m). Check in hotel. Rest and relax. 06.30pm: Dinner at the hotel. 07.00am: Wake up and get ready for breakfast at the dining hall. 11.30am: Arrive in Thorong Phedi(4450m). Check in. Rest and Relax in Thoring Phedi. Note: Lunch and Dinner in the hotel. 06.00pm: Dinner at the hotel. Note: You need to sleep an early because you need to wake up tomorrow morning at 03.30am. Note: You can trek to High Camp on same day too if you feel fresh and easy. It will make your next day easier. 03.00am: Breakfast at the hotel. Check out hotel. 03.30am: Start the trek to Muktinath(3760m). 06.30am: Arrive in High Camp(4925m) and We will have quick tea break for 15 minutes. 06.45am: Continue the trek to Muktinath(3760m). 09.45am: Arrive in Thorung La Pass(5416m). Note: Congratulation You are at the height of 5416m. You will have time to take picture and see the mountain around. Thorong La or Thorung La is a mountain pass with an elevation of 5,416 metres above sea level in the Damodar Himal, north of the Annapurna Himal, in central Nepal. 10.15am: Continue the downhill trek to Muktinath. 12.00pm: Arrive in Phedi. We will have our lunch here. Note: limited option to choose the foods. 03.00pm: Arrive in Muktinath(3760m). Check in Hotel. Rest and Relax in Thoring Phedi. Note: Muktinath is an important pilgrimage site for both Hindus and Buddhist. The area hosts a Vishnu temple and a Monastery nearby. Muktinath is symbol of religions harmony in Nepal. 09.00am: Arrive in Jharkot(3550m) and continue the trek to Kagbeni(2800m). 10.00am: Arrive in Khingar(3280m) and continue the trek to Kagbeni(2800m). 11.30am: Arrive in Kagbeni(2800m). Lunch break in Kagbeni. 01.30pm: Arrive in Ekle Bhatti(2740m) and continue the trek to Jomsom(2720m). 03.30pm: Arrive in Jomsom(2720m). Check in hotel. Rest and Relax. Highlights: Experiencing the Nepalese hilly road drive and natural hot spring. 09.00am: Arrive in Marpha(2670m) and continue the drive to Tatopani(1190m). 10.30am: Arrive in Larjung(2550m) and continue the drive to Tatopani(1190m). 11.15am: Arrive in Lete(2480m) and continue the drive to Tatopani(1190m). 11.45pm: Arrive in Ghasa(2010m). We change the transportation here to Rupse Chhahara(1615m). 12.45pm: Arrive in Pairathaplo(1940m) and continue the drive to Tatopani(1190m). 04.00pm: Arrive in Tatopani(1190m). Check in hotel. Note: We will take you to pool for hot steam bath. 01.00pm: Arrive in Beni(830m). You will have lunch break here. 02.00pm: Continue the drive to Pokhara(820m). 06.00pm: Arrive in Pokhara(820m). Check in hotel. Treks end. Dinner at own expenses. Highlights: Experiencing the road trip on Nepalese highway. 09.00am: Check out from the hotel. Drive to Kathmandu. Lunch en route at own expenses. 03.30pm: Arrive in Kathmandu, Check in hotel. Welcome drink and rest and relax. Free & easy after check in to hotel. 07.00pm: Farewell dinner at Everest Steak House. The most famous steak in town. 00.00pm: Pick up from hotel to airport. All meals during the treks as per itinerary. 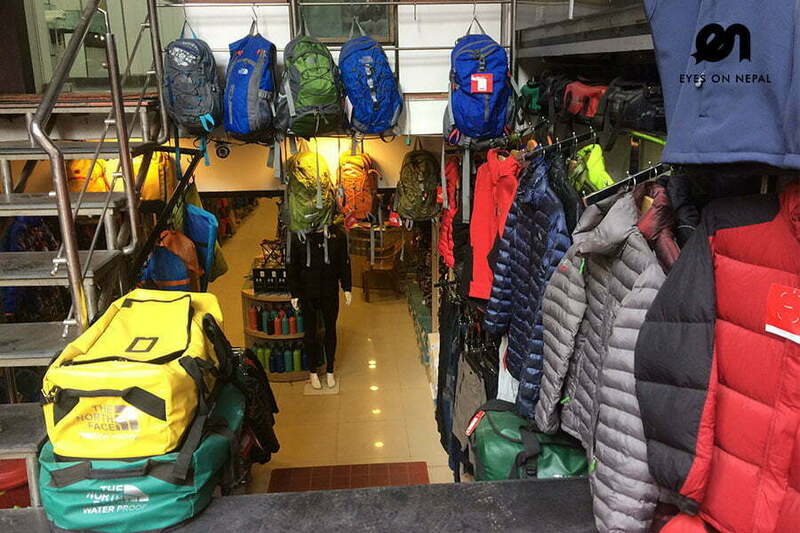 Trekking equipment: Sleeping bag, down jackets, walking stick, if necessary. Any change request will be charge accordingly.